19 March 2013 – The family of Sergei Magnitsky has rejected the claims of the Russian investigative authorities that there were no signs of crime in his death in custody at the age of 37. “This [the decision by Russian authorities to close the case into the death of Sergei Magnitsky] was expected. I don’t believe that it is possible to obtain justice in Russia today because there are people in power interested in concealing it and someone is directing this process,” said the mother of Sergei Magnitsky. “They have concealed from us the details of the death of my husband. 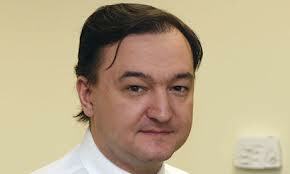 However, even what is already known shows that his death was no accident,” said Mr Magnitsky’s widow. “Today’s decision by the Russian investigative authorities is a clear indication that they have decided to ignore the conclusions of two independent domestic commissions on the case. It is a sign of an overwhelming government cover up, and the extent the Russian government is ready to go to protect those exposed by Mr Magnitsky for committing enormous crimes against the state,” said Hermitage Capital’s representative. There is a wealth of information that was previously released on Sergei Magnitsky’s torture and death in custody as well as evidence of his beating just before he was found dead on the floor of an isolation cell (http://russian-untouchables.com/rus/docs/P01E.pdf). None of this evidence has been properly investigated, and no officials have been prosecuted for the $230 m theft uncovered by Mr Magnitsky which led to his arrest after testifying against those officials. The Russian Investigative Committee announced today that they have closed the investigation of the death of Sergei Magntitsky due to “no event of crime” having been identified (http://www.sledcom.ru/actual/287357/). “The people who killed Sergei Magnitsky may be able to avoid justice in Russia but they won’t be able to outside of Russia,” said a Hermitage Capital spokesperson.